I’ve had a growing fascination with what’s left behind—traces of life, flour clinging to a cutting board, a stubborn leaf imprinted in cement. The leftovers of the process of making. 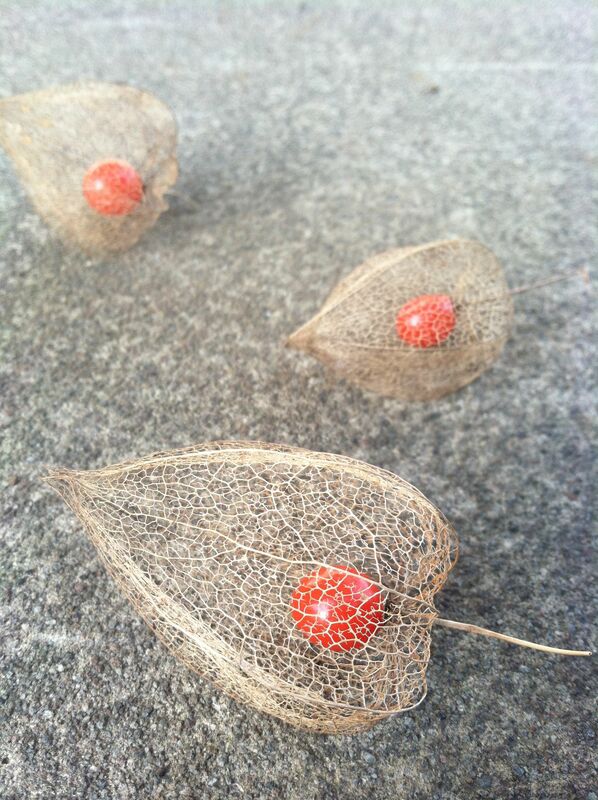 These fragile decayed Chinese lantern blossoms are like miniature bird cages, each home to a red berry. How thrashing rain, snow, ice and winter wind left them intact is a beautiful little mystery. And that fragility belies their toughness. Just try getting rid of Chinese Lantern plants. I never liked the plant itself. But when I saw these decayed blossoms, I just about died.